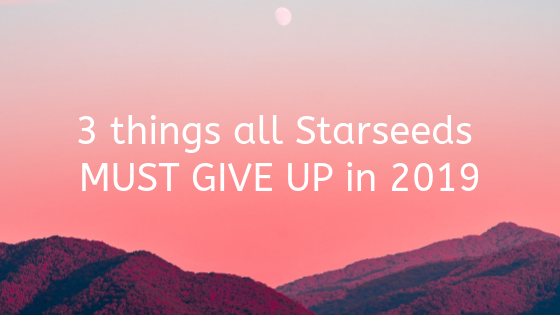 I’m going to be sharing with you three things that all starseeds must give up in 2019 these are things you may be doing and not even know it, but when you change this, everything changes. Today, I'm going to be sharing with you those three things you must give up as a star seed in 2019 no, first off that if you're even watching this video, then you are a star seed because you will only click on this video. You can only perceive that which you are the vibration of. First off, know that you are a star seed. What does that mean? What does even mean to be a star seat? What would it means is that in this life, what you have chosen to do is to bring with you the information and your connection to the stars. Bring that into your life in an energetic way. Whether that's consciously or unconsciously. Maybe you're just not reading this blog and becoming more aware of how conscious this can be for you. But, understand that we are all multidimensional beings, which means that we exist here right now. But, we also exist at higher levels as well and those higher levels, most of the time is going to also include different places in the universe, different star systems, so you may feel like maybe as I name off some of these names, navy, some of them resonate with you. If I were to say the Pleiades serious, our tourists, a drama and drama, the in drama and all these different, they're just different places with different beans and many of us have connections to these different places whether we are aware of it or not. If you've ever read Dolores cannon books, then you'll know there are 17 books or there are books by Dolores Cannon. She was able to get people to one of the deepest levels of brainwave activity of hypnosis and she has a technique called the QHHT technique. My mom actually just texted me this morning because she has been working with someone in QHHT and getting questions and going through that process. It's very interesting the information that comes through because what happens is the higher self can come through to answer questions and what happened was, as Dolores Cannon did this through thousands and thousands of thousands of different people, questions that she would ask would range from why did this person incarnate at this time? What was this person's relationship with their dad, with their mom, what should they, what is their purpose in life? All of these different things and information would come through. While there was very consistent information that would come through for a lot of these different things and one of the consistent things is that they came here now to be a part of the awakening that's happening on the planet to be a part of this great transition. They said there were more eyes here paying attention to what's happening on earth right now than ever before in the history of our universe, which is a huge thing. We think of this as like being, you know, it's, the truth is, is that there's, the university is so mass that for, and so huge that for the attention to be here, it's something very special that's happening. And what's happening is we're sending to a higher vibration in a form in our body. We're carrying our bodies with us going through this transformation and we're doing it in mass. We're doing it with everyone here on the planet right now, which is an incredible thing. Part of that thought has to do with Starseed awakenings. And if you're going and you're reading this blog, then you're going through a Starseed awakening. You're realizing you do have a connection to the stars that you carry with you, the energy as a soul. You bring through the energy of that star system. You know, when people in general, they'll bring through certain characteristics of what's called past lives or future lives and they'll have certain characteristics. Like for example, someone may be very inclined to want to learn to play the piano when in a past life, maybe they played the piano or they had more of that artistic part of themselves. Maybe someone's very good at managing people because in a past life they were also some form of manager who sometimes it'll be just skills developed during that life as well. But these things are carried over. Another thing is that we carry through energy from the star system from which we are connected to. You may notice that certain people that may consider themselves and feel like they have connections to the play eighties, they may have a certain type of softer, more loving type of a type of vibration or different, maybe serious. And certain parts are very more like very moving forward in a specific direction. Very much goal-getters. There's specific energy we bring through because this is all connected right now. Here's the trap that a lot of people fall into when it comes to star seed awakenings or awakenings in general. I fell into this for a while and I want to help you because in 2019 it's time on the planet now of us all waking up and in 2019 as star seeds, we must become aware of this and that is this. There is this common thing that happens when you go through an awakening where you realize that your home or the place from which you have a connection to many people and many stars seats will say that they want to go home, they want to go home. Maybe you felt like that before. Feeling like the earth isn't necessarily your home. I know my mom's felt that same way. She's felt like she has a connection to the stars and she wonders sometimes. One of the reasons she thinks that she had such a difficult time on earth is because she has so much of a connection up there that she misses it. She misses going home. And many kids when they're young, will tell their parents too that they want to go home, they want to go home. And the types of parents was like, oh, they just want to go to the house. But when they're so young, they understand, they remember subconsciously and at different levels that that is home. Well in 2019 the key is actually to understand that this life is about us going through the transformation with the planet. We're meant to be here because the thing is is as star seat in 2019 what you are meant to be doing is bringing through this information, bring in through this energy so that it can influence people. Because when one of us makes a change within ourselves, it also changes the collective as well. It also starts to build that energy-momentum within the collective consciousness and it's giving more and more permission to more and more people to wake up. But that's an escaping mentality and we're trying to, we came, we came here to be here to help change the planet, to help change ourselves, and then to change the planet. To say that we want to leave and go somewhere else is actually escaping and counterproductive. In 2019 as a star seed, the key for you is to understand it's about being here. This can be an amazing experience when you really surrender as well. You allow this higher vibration that comes in. This could be a fun experience. It's meant to be a fun experience. It's meant to be a transformational experience, but you have to become okay with it. I know that when you first become aware as well of 3D reality, 4D reality, 5D reality going from 3D to 5D, which means going from duality control being reactive to the environment into 4D and 5D, which is where things become much more dreamlike, you realize that things become more magical. You realize you can start to exist in your heart. You manifest things easier because you raise your vibration. Well, sometimes what people do is they don't want to be in 3D so bad that they resist it and they fight it. And when you fight 3d you stay in 3D you must become okay and at peace with 3D to move up to 4D and 5D levels of consciousness, you must be okay with it. The way you become okay with it, as you observe your thoughts and you see it for what it is, 3D is serving its purpose. It's allowing people to play out. Certain roles, play out certain Karma. But now in our lives right now in 2019 as star seats, it is time to enjoy this moment. And to know. It is about bringing through our light here now and it's not about escaping. We must give that up. We must give up trying to escape and you must give up trying to go somewhere else. When it's about being here, it's about making the change from within because when we make the change from within, it affects everything else in our reality. The second thing that we must give up, especially in 2019 is this thing that happens when you go through a spiritual awakening or even a starseed awakening to happen to me as well. These are all three things I'm sharing from experience. By the way, this is something that I did. When you go through a spiritual awakening, you realize that you're not your ego. I used to think I had ADHD. I used to identify with of this stuff. I realized, okay, I'm not. My ego will. Instead of me being my old ego, now I'm this spiritual being. I'm the star seat. I'm a star seed that comes from these higher dimensional realms here to help awaken people just like you do. However, having that label, having that identity then caused me to have what is called a spiritual ego, could call it even a star seed ego. And it's like, this is who I am. I'm this Great Almighty Starseed walking around and people don't get me because of x, y, z, and all of these things. Well, that ends up creating separation. You see, we're meant to have this experience with other people. Realize every single person on this planet is multidimensional, whether they're aware of it or not, which means that at a certain level, they too are a star seed. However, what makes and what we can really see this as is if you're woken up right now and you know that you're a star seat and you're resonating with this. Then you woke up first to help other people that wake up, but they're still connected to the stars because we're all multidimensional and we have existences at many different levels. We did not just incarnate all of our energy on earth. We can't, we couldn't do it because our, our spiritual being is so much bigger than just one physical body. Knowing that we could say, okay, we're almost high dimensional, so we don't need to have this kind of separation of Ima star seat. You're just a 3D person. You're a 3D person having a sleep in the matrix. Do you see what that does? It causes a separation. There are some people that yes, are still in the autopilot mind are still playing out certain roles, but have a love for them. See them as a part of you. See them as connected to you because otherwise, you'll see the separation. You'll even feel like everyone doesn't get me. When I went through my spiritual awakening, maybe you felt this too. Normally what we did is we woke up in groups of friends and groups of families that didn't get it, that weren't, that didn't wake up yet because we woke up first. When they saw us, they're like, what the hell is he talking about, Aaron? And what is he talking about? This meditation stuff and awakening and family didn't necessarily understand. Some did, but a lot didn't understand. It's about understanding that this is a process of letting go of the labels of that person's. Yeah, well, they just don't get it because they're over lower vibration. They're still stuck in 3D and 2019 as a star seed. It is time that we realize that this is less about that and more about inclusion, more about integration. Allow them to be the way they are, understand their in their own process of awakening, but be at your core, be at your core. Understand that by you also admitting your own light that's going to influence other people, but let go of the label. That goal of being a star seed of being an indigo Urbina crystal child because even then you're more than that. You're more than all as cool as you think all of those are your cooler, but the thing is we've got to let go of these labels. We've got to let all of them and realize that we're all connected because we're all in this together. We're going to this collective shift in consciousness together. The third thing, all Starseeds must give up in 2019 as something else that I'm learning from experience. And let me tell you, this is kind of how it's evolved to me even sharing this content on my channel. In the last two years, I've been sharing a lot of videos on YouTube. Obviously, I've been doing daily videos for almost two years now. Wow. It's been two years now. I just realized that because we're in wow, two years of every single day having videos, most of them have been in the past Law of Attraction videos and videos on how we can, you know, create our own reality. Something I'm very, I love talking about. However, I knew even since the beginning that one day I was going to be talking about Starseeds, ascension, interdimensional existence, all of these things because I'm so passionate about it, it's so empowering. It changes. It changed my life so much and I knew I wanted to talk about that, but at the time I was afraid to talk about it. I was just talking about Law of Attraction stuff. However, I realize in the last four or five months I felt like it's time. It's time to be sharing this kind of information because people are waking up so incredibly fast. However, parts of me were still afraid to share that because I was almost in that old identity. I was in that old way of thinking, but here's what I understood. I didn't come here to just reaffirm what is already comfortable. 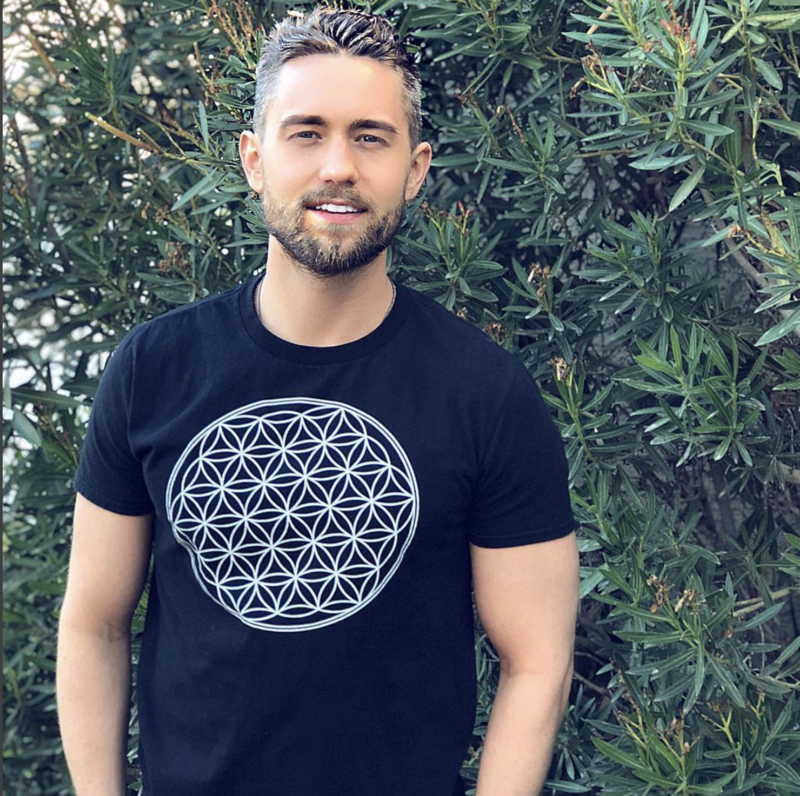 Everyone, you know, there's a lot of information on the Law of Attraction and I've already made hundreds and hundreds of videos, so do I need to keep talking about what is already known? Did I come here for that? I knew that as a star seat in 2019 especially, I came here to be bold and that included having to be brave to put up this information because some people look at it, they're like, that's crazy, and it's not. They may think it's crazy now, but one day they will realize that it's actually something that resonates. It's just is it time for these people or not? But if you're here right now, then this resonates with you. You wouldn't have watched it this long and do a video. However, I realize I came here to be bold. I came here to establish this new paradigm, this New Light like a star, seeing 2019 you came to do the same thing. You came to establish your light. You came here to be bold. You did not come here to just reaffirm the old reality, to fit into the box that everyone puts you in. You came here to be bold. You came here to carry your light and to do it unapologetically doesn't mean you do it with resistance. You're like, this is who you are and you're like shoving it down people's throats. It just means that you're aware that you came here for this purpose. You came here to share this kind of information. This is why you're here, to become more aware of that and understand that you are a multidimensional being. As it starts seat in 2019 you came here to help awaken other people. You're waking up more and more to who you are right now and as you do, it's going to influence people in a very powerful way. Let go of the belief or the labels of I'm a star seed. You are not. This is what you are. Yes, we can. We can feel we know where we are special because we are bringing through this information, but we don't want to gain a spiritual ego because of it because then we feel separated from everyone else. Understand that we must become completely at peace with where we are and with the 3D before we move on into 4 or 5D and we must become completely at peace with this whole process. We must let go of all of these things are holding us back. We must let go of trying to escape reality. We must let go of these labels. We must let go of trying to hold our light in and being timid. It's a time of being bold. It's time for us. I started season 2019 I want you guys to all to know I'm excited to be here. If you want a star seed activation meditation that will help activate all of this within you. Listen to it for 21 days and watch what happens. This is something that will help activate these codes within you and it will help you to understand more about how you can be bold, how you can let go of these labels.